Friday, April 26 at 2:00 p.m. ET. We hope you’ll join us for this engaging conversation! 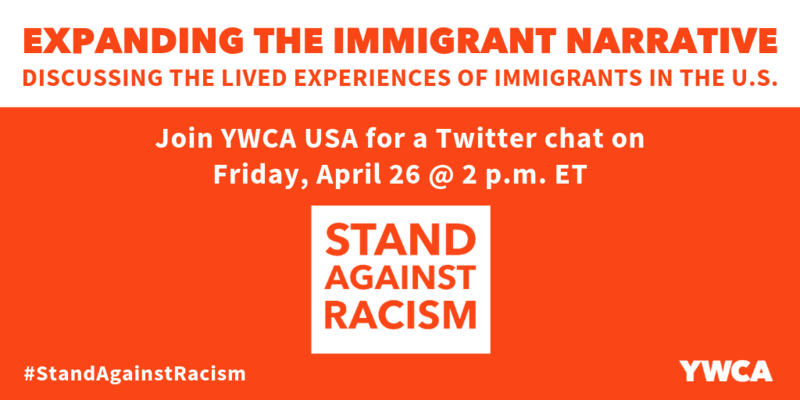 Twitter chat questions: Below is the list of questions that YWCA USA will ask during the Twitter chat. Feel free prepare answers ahead of time, but if you can, we encourage you to tweet live and stay engaged with your fellow participants. Immigration happens beyond the border. Why is it important to offer varied and diverse immigrant narratives and how do you accomplish this in your work or in your organization? In what ways can you include Black, Brown, AAPI and/or queer immigrant narratives in your work? 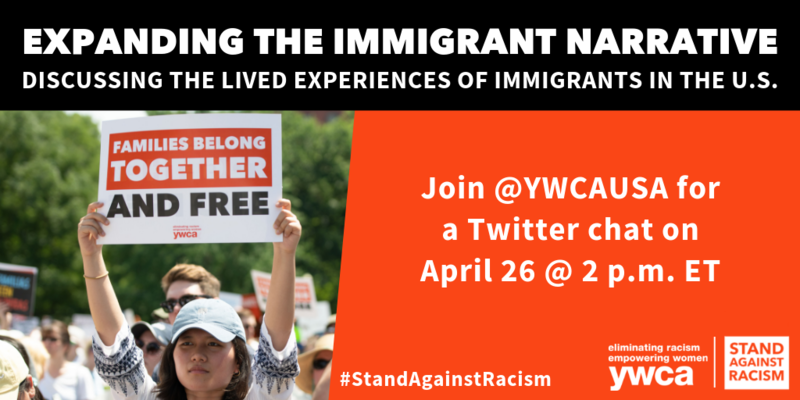 How do you center immigrant justice in your work (whether your work be in reproductive justice, women’s rights, racial justice, gender-based violence, etc.)? 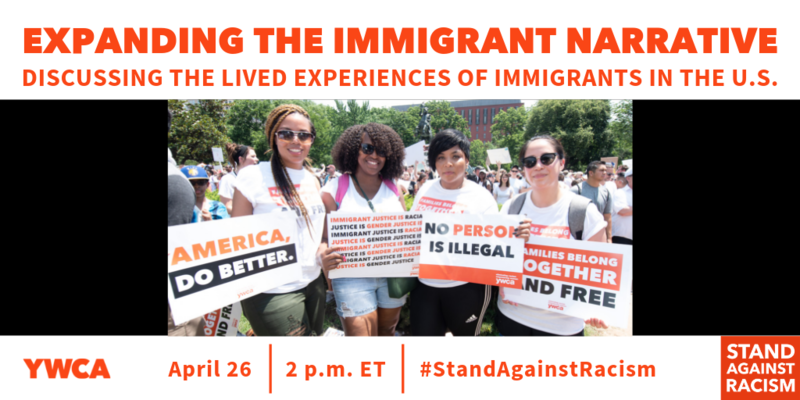 Threats to physical safety, economic stability, and basic human dignity are often particularly acute for immigrant women and girls, particularly those of color. In this work, how can we uplift the voices of immigrant women and girls? What does it mean to offer culturally responsive services? How does your organization ensure that the services you provide to immigrants in your community are culturally responsive? 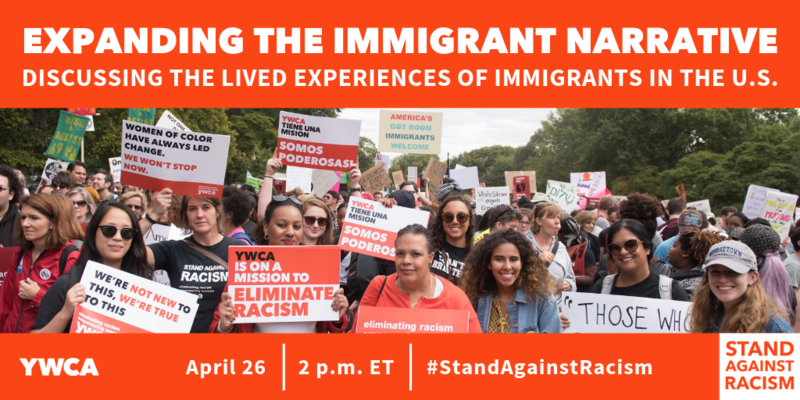 What are actionable steps we can each take—as individuals or as organizations—to combat racist and xenophobic narratives of immigration? What policy proposals and solutions can help support and protect immigrants? What ideas and policies are being considered in your community? What resources are available to support immigrants in your community?